The Spanish centre-right Popular Party has scored a great victory in yesterday's elections, winning 186 seats in the 350-member parliament against 110 seats for the Socialists. 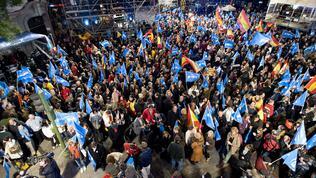 This is the worst defeat for the left in the last thirty years since there has been democratic governance in Spain. The result was expected, since the socialist government of Jose Luis Rodriguez Zapatero was forced to make painful budgetary and structural reforms. 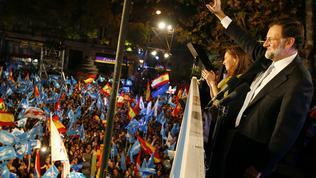 Zapatero announced in August that he had decided to set the elections four months earlier, so that the new government could start work in early 2012. 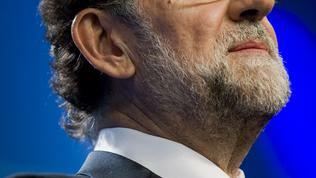 The Popular Party is taking over in a very difficult moment for the country. Spain has again been attacked by the financial markets as last week its borrowing costs reached almost 7% - at similar levels Portugal and Greece were forced to request bailouts from the EU. There are serious concerns that Madrid will not meet its 2011 fiscal targets - according to the European Commission the budget deficit for 2011 is expected to be -6.6%, while the target is -6%. Given the large deficit and the expected weak economic growth (1.4% for 2012), the Spanish debt will continue to grow from the current 61% of GDP reaching 78% of GDP in 2013. Over the next two years unemployment will remain the highest in the EU, at levels of over 20%. The banking sector is still posing a serious risk to financial stability. Following the decision of the European leaders to recapitalise EU banks, the European Banking Authority disseminated a country by country information on the potential needs of the banking sector - Spanish banks have to obtain a buffer of over 26 billion euros. According to the recapitalisation plan, banks should first try to raise private funding, and if they fail then they may request state help. This would pose a serious challenge to the country, given its difficult financial position and strong market pressure. In their statement from 27 October the euro leaders stressed that “strictly implementing budgetary adjustment as planned is key, including at regional level", and that Spain should take measures to promote growth and "to reduce the unacceptable high level of unemployment". 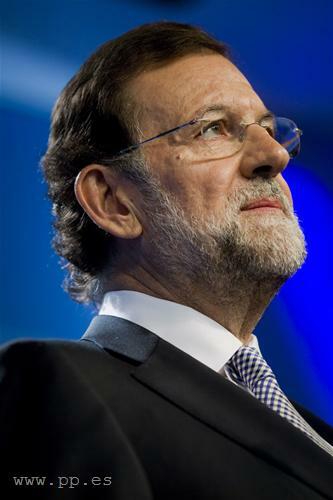 "There will be no enemies for me other than unemployment, the deficit, excessive debt and economic stagnation," the leader of the Popular Party and incoming Spanish Prime Minister Mariano Rajoy said to his supporters on the election night. He stressed that "Spain's voice must be respected again in Brussels and Frankfurt [...] We will stop being part of the problem and will be part of the solution." Mariano Rajoy is a longtime fellow of former Spanish prime minister Jose Maria Aznar (1996 - 2004) and has served in two consecutive governments of his as a minister of public administration, education and the interior. 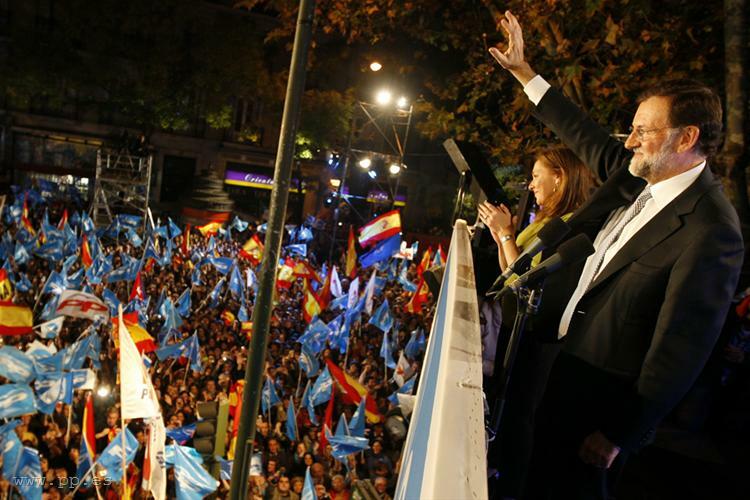 In 2004 Mariano Rajoy succeed Aznar's leadership position in the Popular Party but lost the parliamentary elections the same year. The government of Jose Luis Rodriguez Zapatero is the fifth in the EU that falls victim to the crisis after the governments in Greece, Ireland, Portugal and Italy. We can also add the Slovak government of Iveta Radichova, which resigned in exchange for the opposition's support for the changes in the eurozone rescue fund. Zapatero's Socialist government has implemented a series of severe austerity measures to reduce the budget deficit and has begun serious structural reforms. The new centre-right government has no choice but to continue along the same path, moreover in a very difficult economic situation. 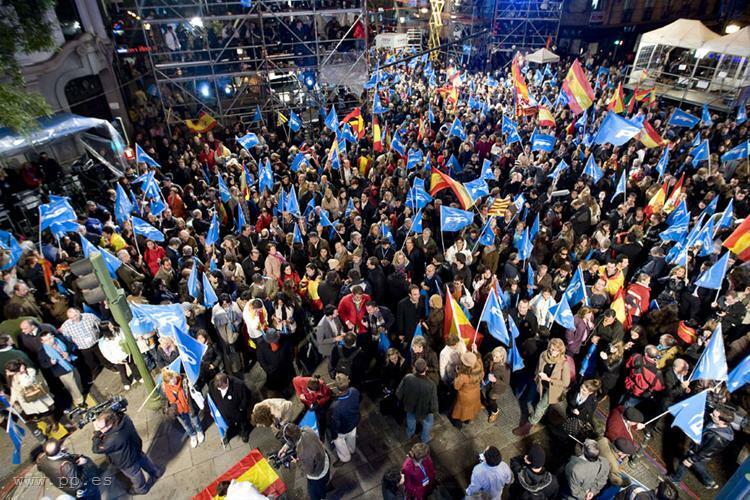 The Spaniards, although having protested against the measures applied by the previous government, now give a clear mandate to the new one to pursue economic recovery, ensuring a parliamentary majority to pass the necessary laws. It is hoped that the new government will inspire confidence in financial markets, which would provide a sip of air to the country until the necessary reforms are carried out.